A four-disc set of Warner Home Video Dracula movies, titled 4 Film Favorites Draculas (sic), comprising Horror of Dracula, Dracula Has Risen From The Grave, Dracula AD '72 and Taste The Blood of Dracula, has been released in the US. These discs are the same as the individual Warner Home Video discs. The set is very cheap - less than $15 in Wal-Mart, apparently. Thanks to William S. Wilson at Mobius Home Video Forum for the info. The Hammer DVD Guide has been updated accordingly. On 16 November at the BFI IMAX, moviegoers will experience the epic tale of Beowulf told as never before - in stunning IMAX 3D. Beowulf has been converted into IMAX 3D and re-mastered into the unparalleled image and sound quality of The IMAX Experience through IMAX DMR (Digital Re-mastering) technology. The unique theatre geometry of an IMAX theatre combined with crystal clear, larger than life 3D images and 12,000 watts of digital surround-sound, creates an environment that puts the audience in the movie. Moviegoers will be transported inside the film to experience the action, heroism, and bravery of Beowulf brought to life. Beowulf: An IMAX 3D Experience will open concurrently with the nationwide 35mm and digital 3D releases from Warner Bros. Pictures on 16 November. In a time of heroes, the mighty warrior Beowulf slays the demon Grendel and incurs the wrath of its monstrous yet seductive mother in a conflict that transforms a king into a legend. Groundbreaking director Robert Zemeckis offers a vision of the Beowulf saga that has never been told before Beowulf, starring Ray Winstone in the title role and Anthony Hopkins as the corrupt King Hrothgar, as well as John Malkovich, Robin Wright Penn, Brendan Gleeson, Crispin Glover, Alison Lohman, and Angelina Jolie as Grendel’s mother. 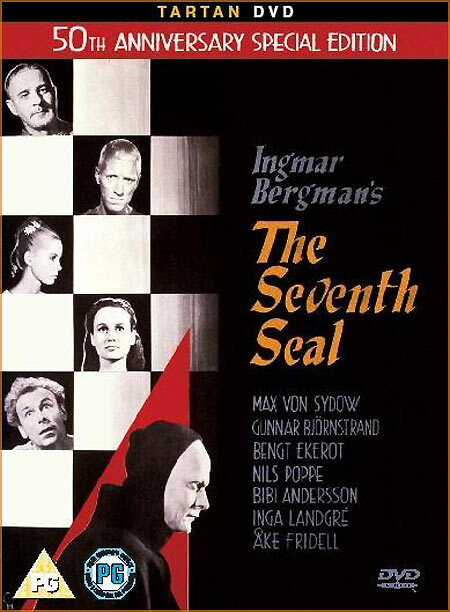 Neil Gaiman (Mirrormask, the graphic novel, Sandman) and Roger Avary (Pulp Fiction) adapted the legend for the screen. Beowulf will be distributed in the United Kingdom and Ireland by Warner Bros. Pictures. The BFI IMAX is located at South Bank, London SE1. Nearest tube is Waterloo. Tickets can be bought in advance from the ticket desk or by telephone on 0870 787 2525 or online from www.bfi.org.uk/imax. Ticket prices: Adults £12.00, Children £8.00, Concessions £9.75. Tickets are on sale now. Many newly-announced titles have been added to our forthcoming releases database, Incoming, this week. Last-minute additions include new stand-up discs from Peter Kay and Billy Connolly, and a timely release for last week's ITV drama My Boy Jack. 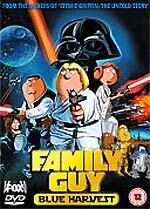 I've also added details of Fox's release of the Family Guy - Blue Harvest DVDs, which are due on January the 21st. For those who don't know, Family Guy recently aired a special episode which spoofed the original Star Wars movie. They had co-operation from Lucasfilm, and were allowed to use original Star Wars music and sound effects. Fox is releasing two DVD editions: a basic one, with a good array of bonus material, and a special box set, bundled with a T-shirt, trading cards, a brochure, and 3D glasses. HMV has the Special Edition version available for pre-order at a very tempting £13.99 here - almost seven pounds cheaper than any of the other etailers! We've also added additional details for many titles, and more etailer links. Please use the links to support Zeta Minor! My thanks, as always, to Ben and Barry, for helping to keep the database up to date. Torchwood star John Barrowman will be signing copies of his new CD, Another Side, at the Oxford Street branch of HMV on Friday between 12.30 and 1.30pm. From their website: "250 wristbands will be available at the store on the day of the event from 9.00am, limited to one per person only, first come first served, no reservations, while stocks last."